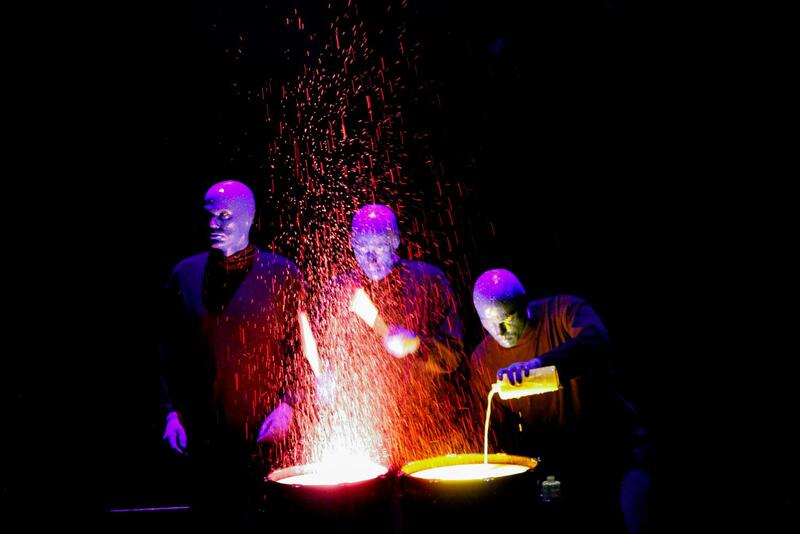 The Blue Man Group performed at Wintrust Arena on Thursday Sept. 13 as part of a continuation of Welcome Week. The show was heavily advertised throughout both campuses with people handing out flyers at other Welcome Week events and outside DePaul buildings during class changes, when foot-traffic reaches its peak. Despite the expansive advertising, the crowd turnout was abysmal with the huge arena noticeably empty. For the few people in the audience, the show was disappointing lasting barely 10 minutes. A group notorious for their high energy shows, the Blue Man Group was a surprising let down for many. To make matters worse, after their short set they were quickly replaced by the Men’s and Women’s basketball teams singing karaoke, far from what most students came to see. This whole thing is so DePaul it hurts. How can there be so many clueless people working in one athletic department?